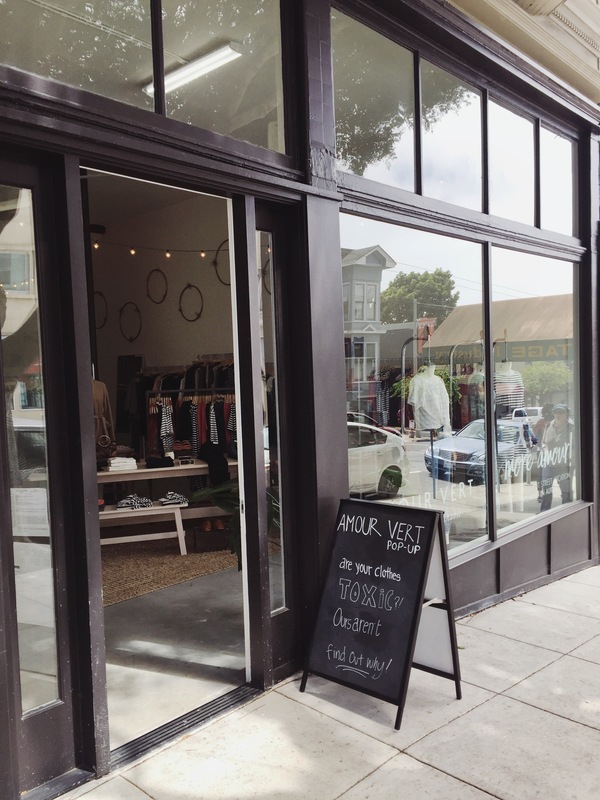 When planning all my eco fashion shopping in San Francisco I completely forgot about locally produced brand Amour Vert (don’t ask me how – I even follow them on Instagram), but luckily, I came across one of their shops by coincidence. 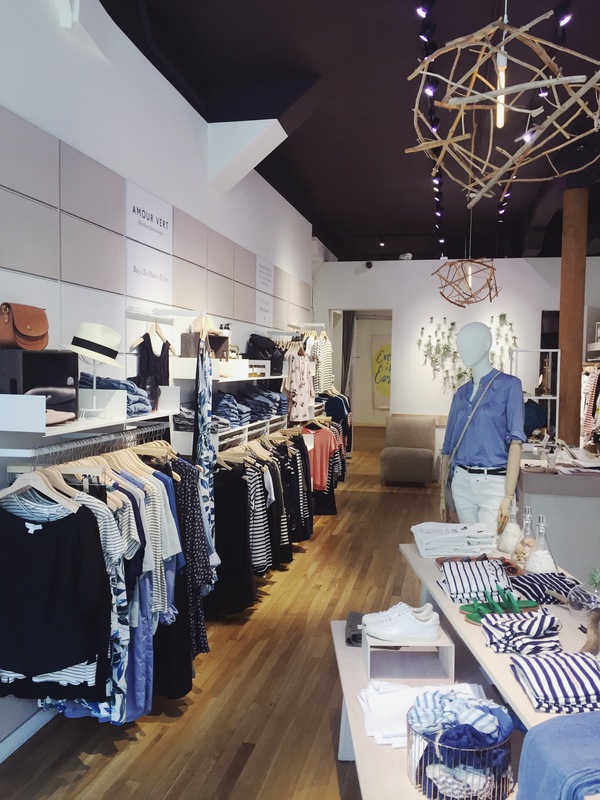 Amour Vert means green love in french and sustainability is an essential part of the brand. They are all about natural materials and American manufacturing. Every time you buy one of their tees they plant a tree with their partner American Forest®. Such a cool concept. And while I really wanted to support it, they unfortunately didn’t have the tee I wanted in my size. Next time hopefully. 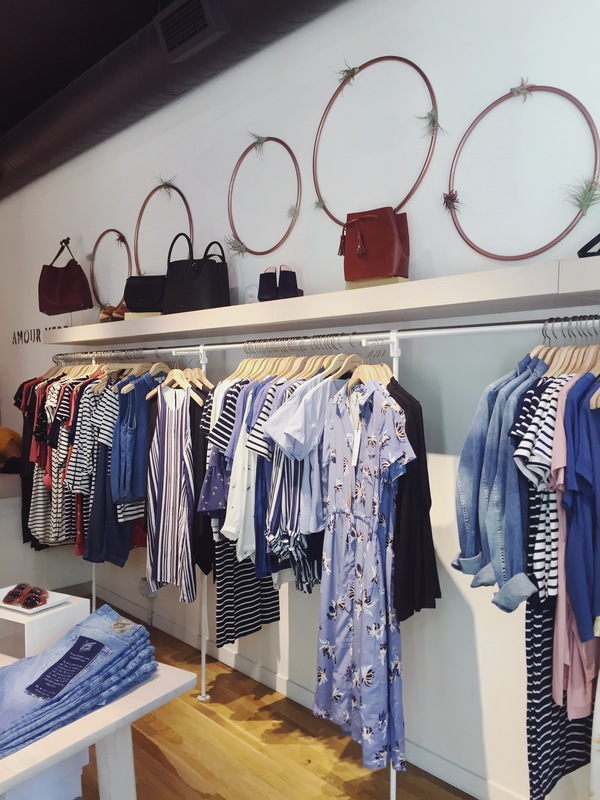 The shop on Hayes Street (which is a street worth visiting on its own – so cute) is beautifully decorated, and the simple, classic interior matches the clothes perfectly. 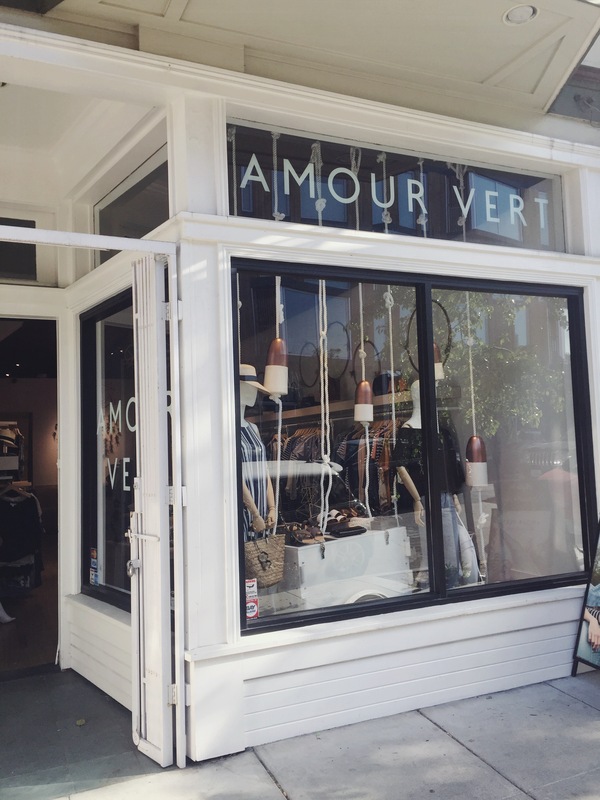 The sales assistant was very helpful and we had a lovely chat about sustainability and the work that Amour Vert does.